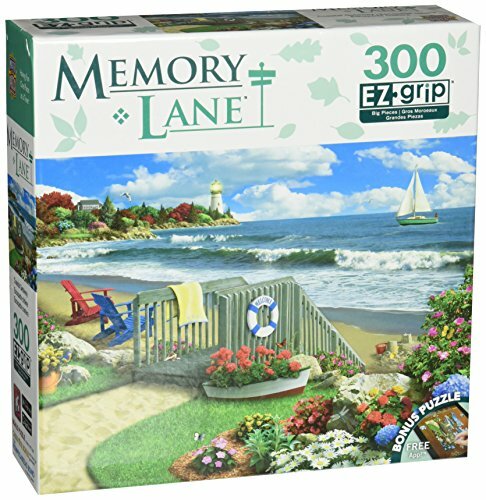 Jigsaw puzzles are the perfect family activity! They're fun for all ages, from toddlers to seniors. 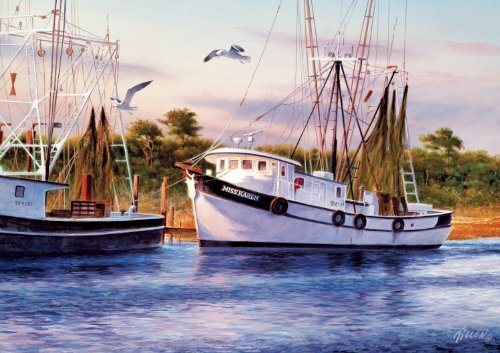 Scenes of ships and the sea are enjoyable to work and beautiful when done. 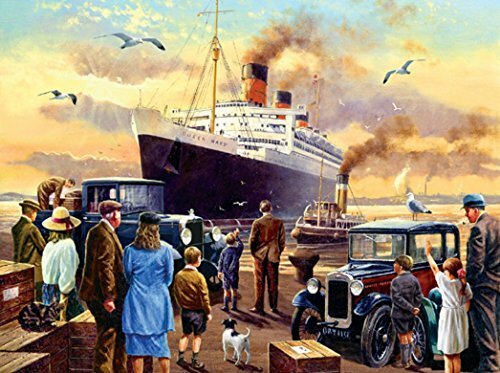 Titanic puzzles are in special demand right now, along with ever popular sea life themes and pictures of old ships. 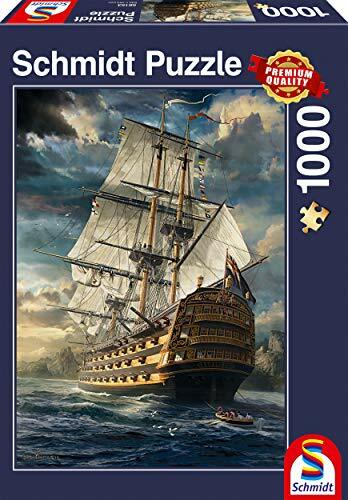 Here, you'll find numerous examples of nautical jigsaws, sorted by level of difficulty. Towards the top of the page are the easiest ones, with those having more pieces afterwards and the most challenging projects near the bottom. Finally, when you complete a jigsaw puzzle, you face a choice. Should you dismantle it to work again another time, or should you preserve it? If the latter, you'll find some help here on how to preserve a finished masterpiece. 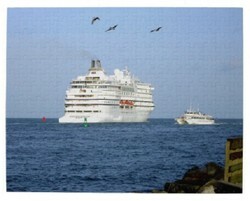 As a cruise ship departs Port Canaveral, she navigates between the buoys marking the safety of the ship's channel, on her way out to the open sea. Pelicans fly overhead, and an inbound charter boat passes by on the ship's port side. 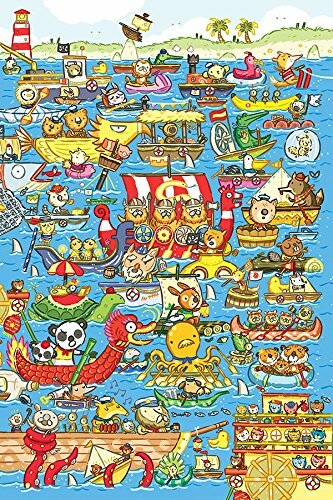 This, and other nautical jigsaw puzzles are available from on demand printer Zazzle. Choose from two sizes: 110 pleces (8"x10" when finished); and 252 pieces (11"x14" when completed.) Each size comes boxed, with the image printed on the lid. 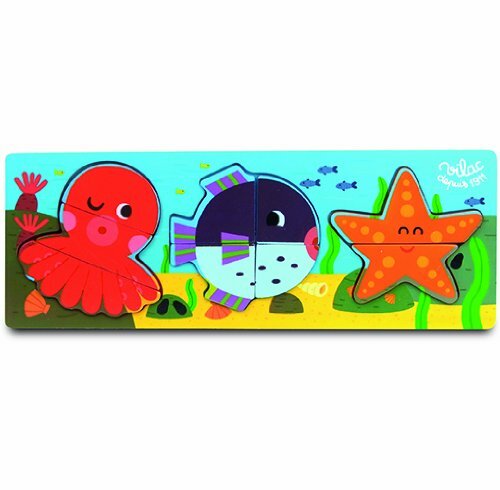 Both sizes are done up on sturdy chip board backing, with a wipe clean surface, and new designs are added on an on going bases, so there's always something new to see at Zazzle. Did You Ever Wonder What It Was? What do you think the very first jigsaw puzzle ever made was? According to numerous sources, the first one ever was created by an Englishman named John Spilsbury in the 1760's. Most put the exact year at 1767. Designed to be used in the teaching of geography, it was was a map of the world, with the various pieces being countries. How perfect is that? Children can enjoy simple puzzles even before their second birthday. Those especially designed for toddlers have a small number of large, easy to handle pieces, like the simple five piece chunky boat puzzle shown below. These fun toys help develop motor skills, and also very beginning cognitive skills. Children in nursery school like the ones that let them insert shapes into the like shaped cavities of wooden boards - like putting the duck shaped piece in the duck shaped slot, for example. The puzzles shown immediately below have just a few pieces, and are made for little hands. Puzzling is so beneficial to youngsters, as their minds and motor skills are in early development that parents should really consider simple jigsaws essential for young children. Once they pass the toddler stage, they'll want something a little more challenging than one with half a dozen or so pieces. Before you know it, a child may be ready to graduate to a simple jigsaw puzzles with more than 25 interlocking pieces. As they master this level, you'll be happy knowing that they are also developing basic spatial reasoning and logic. When that level becomes 'too easy' for them, move them on to something more advanced, perhaps one with around 100 pieces. Before you know it, they'll be ready to double their efforts and the number of pieces they are willing to take on. Just take care not to present them with a task that is TOO advanced, unless it's one you'll be working on WITH them. Don't forget that puzzling together is a great family activity! Note that I have not associated an age range with these puzzle groupings. Each child is unique, and advances at their own pace. You'll know when your son or daughter has become bored with the level they have been working at and are ready to move on. 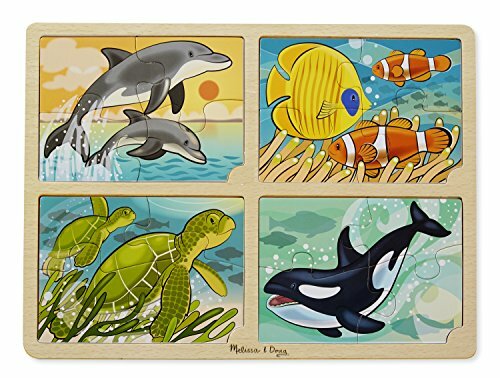 The sea themed puzzles shown below have even more pieces for when a child gets a little older and is ready for a project that requires a little more skill, time, and focus. This may also be the age at which he or she is ready to help a bit with family puzzling. But, be sure to keep some easier ones on hand for them to work on alone, as well. That will serve to keep their interest in the hobby should they become frustrated with the more difficult family puzzling projects, which can takes days, rather than hours to complete. Puzzling is a wonderful family activity. Each August, our family meets for a week on the coast of Texas. We gather from our various homes in New York, California, Arizona, and Florida. In the main house, there's a designated puzzle table. And we cooperate in working a new one each year. Each person works whenever they feel like, for as short or long a time as they want. With so many people, there's almost always at least one person sitting at the puzzle table. It's usually a beautiful scene from some far-flung corner of the world, and normally has 1000 pieces, though we have bee known to tackle larger ones. Three generations of family members all cooperate in finishing it by week's end. A fourth generation is growing up, too. We look forward to the time when they are ready to help! Once you complete a puzzle, you may be tempted to just leave it in place for just a few days. After all, you did put a lot of work into completing it. Besides, some of them do resemble works of art. Some are actually reproductions of the great masterpieces. So, why break it up and put it away? Why not preserve and display it? The following video shows you an easy way to glue your completed jigsaw puzzle together. 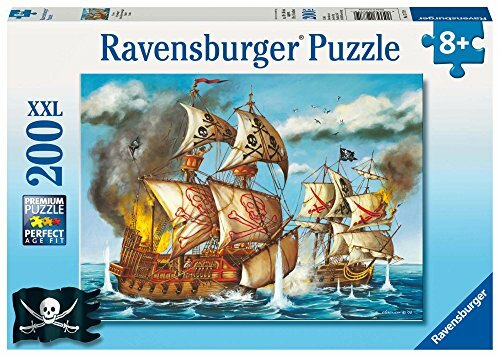 Ravensburger brings a quality design and product! Enjoy for hours of fun. We do! Though nautical themed ones are my favorites, we just finished one depicting The Alamo. It was only 500 pieces, but still quite challenging, with a lot of detail. It even came with an explanatory sheet, telling who all the soldiers were that were depicted in the scene. Ah we love jigsaws here. What a lovely post. CruiseReady, The boat race puzzle is my favorite. Do you ever try putting jigsaw puzzles together online? blackspanielgallery - It's true that some may be a bit challenging in that regard, and therein lies a part of their beauty! mihgasper - There's something to be said for holding the pieces of something in your hands, and physically assembling them into a cohesive and pleasing while, even if it's only a jigsaw puzzle. AND puzzling provides a healthy break from electronic overload. With all the hype about tablets and educational apps good old jigsaw puzzles still excite folk of all generations! These look like they would take some time to complete with blue sky and blue water. Nautical wine caddies make a nice gift for an wine lover who also loves the sea. They're an elegant way to display a soon to be opened bottle. Included: tips on wine storage.